How do you recognize someone under the influence of a stimulant drug? Grossly dilated pupils with just a rim of colored iris. Tremors in the hands and a general hyper-activity or "wired" stimulated condition. Flushed skin tone, sweating, dry mouth. High blood pressure, pulse rate, and body temperature. Long-term addicts will display malnutrition, paranoia. aggression, and depression. Meth-amphetamines—illegal world-wide but still illegally produced, it is 10 times more potent than amphetamines and can be manufactured in small home-made labs. Cocaine—a powerful illegal stimulant drug produced from the coca leaf, one of the most abused illegal drugs in America. Ritalin—(methylphenidate), often referred to as "R-Balling" the abuse of drugs used in treating attention deficit syndrome is a growing problem in America. The casual observer has a very difficult time recognizing impairment from a stimulant drug in a recreational user. That is because stimulant drugs do not produce the gross physical balance impairment most people associate with intoxication based on their observations of alcohol impaired adults. In fact, a little published fact is that a new user of cocaine or other stimulant drug will be a better, faster more accurate employee than when they were not using the drug. It is only when regular use develops that performance sharply falls off. The danger to business, schools, and the public at large is that cocaine and other stimulant drugs do cause safety related impairment from the unrealistic over confidence the drug produces. The drug=impaired user feels sure a risky task can easily be accomplished, which often leads to deadly results. It is very common for police officers to miss the symptoms of stimulant intoxication because they are often predisposed to be looking for alcohol symptoms. For example, stimulant intoxicated drivers will perform field sobriety tests much better than alcohol impaired drivers. Drug recognition training focuses on non-body invasive eye clues to alert on the possibility of drug impairment and to identify what broad class of drugs may be causing the impairment. 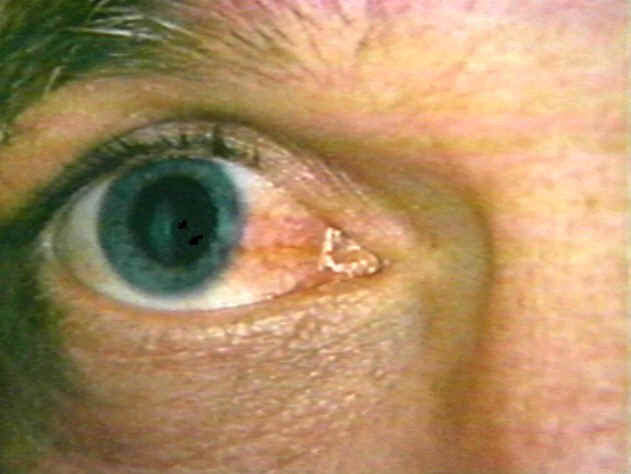 All recreational drugs taken at abusive levels effect the user's eyes. Knowing these eye clues gives the observer important information as to the potential for drug impaired safety concerns. Stimulant drugs like cocaine produce grossly dilated pupils that are very easy to recognize once effective training has been accomplished. Video tapes showing actual stimulant drug impaired subjects and classroom lead training has been proven to be an effective control program.